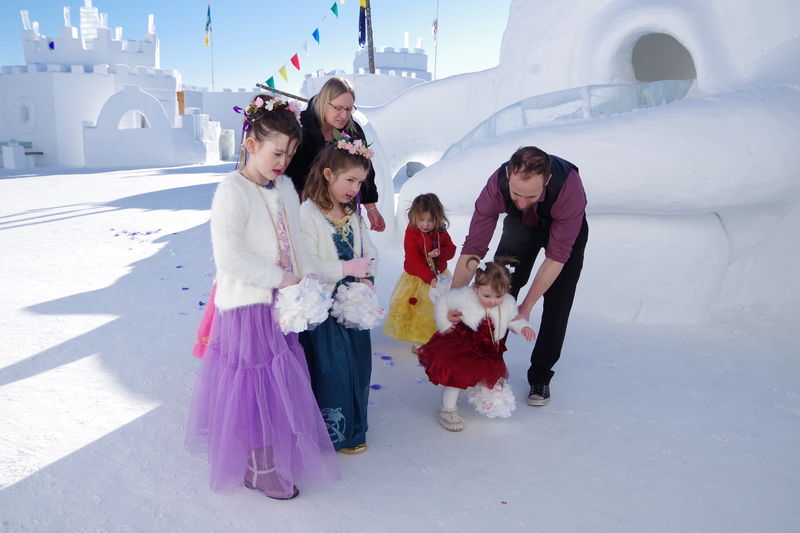 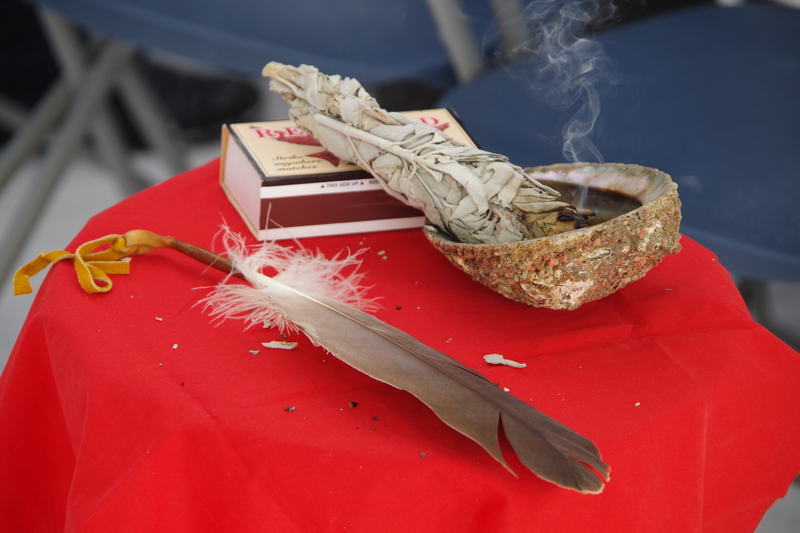 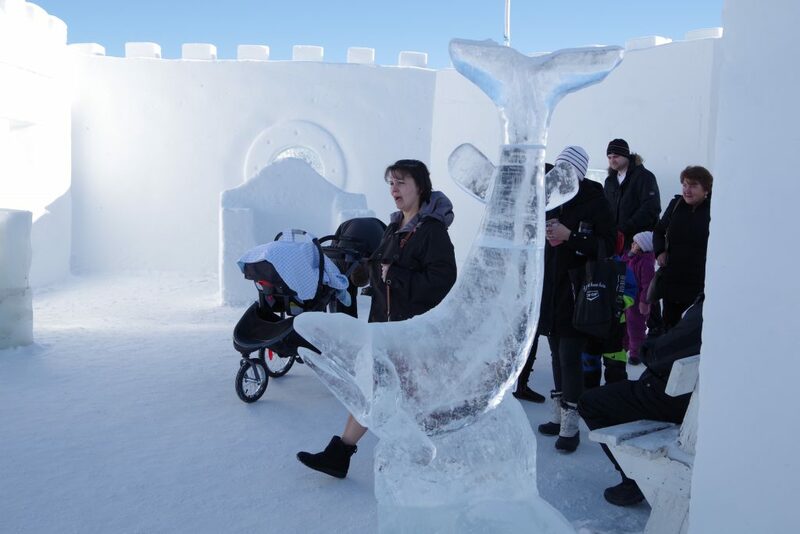 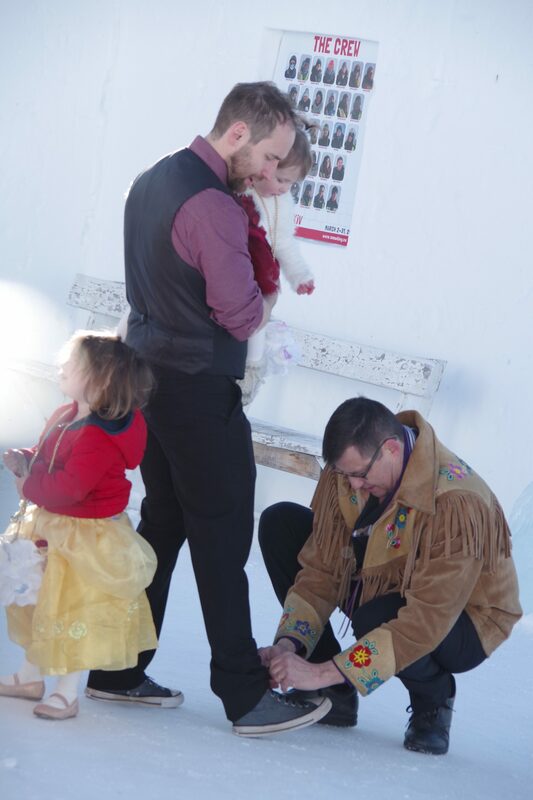 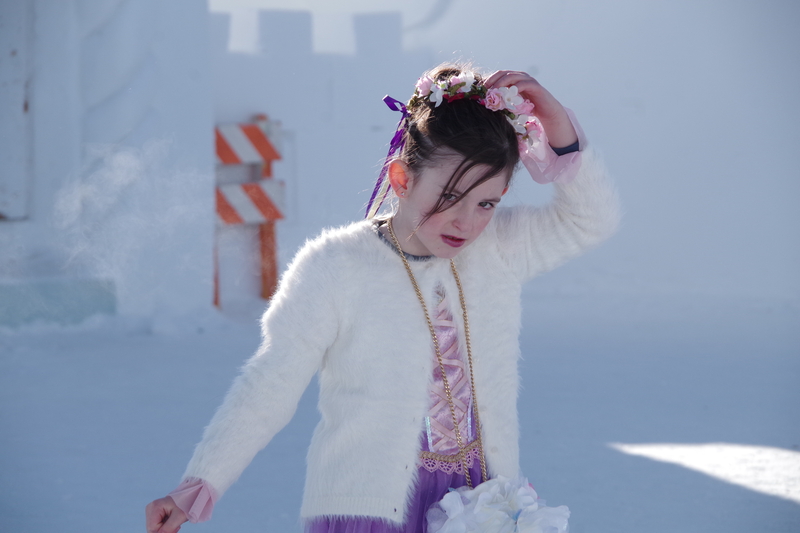 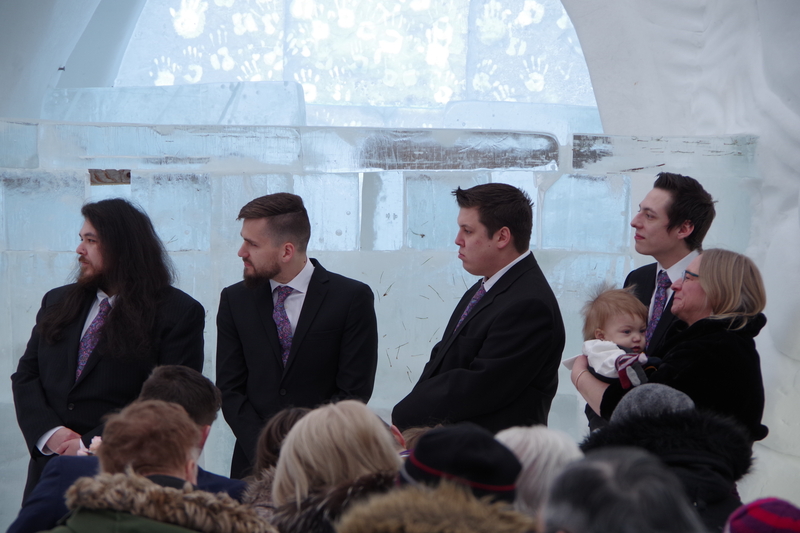 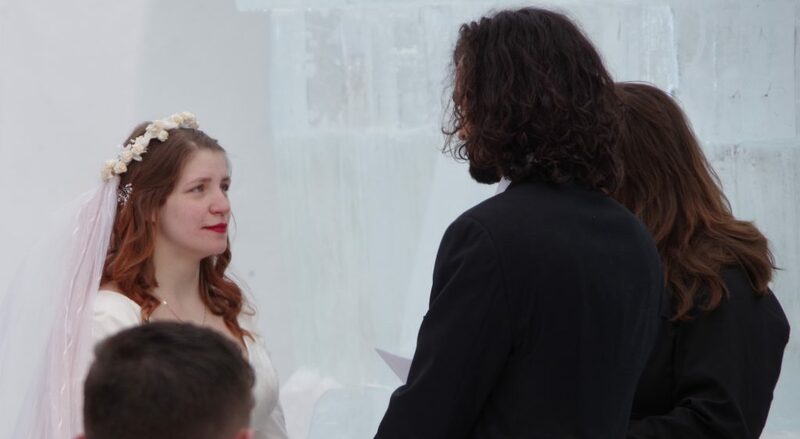 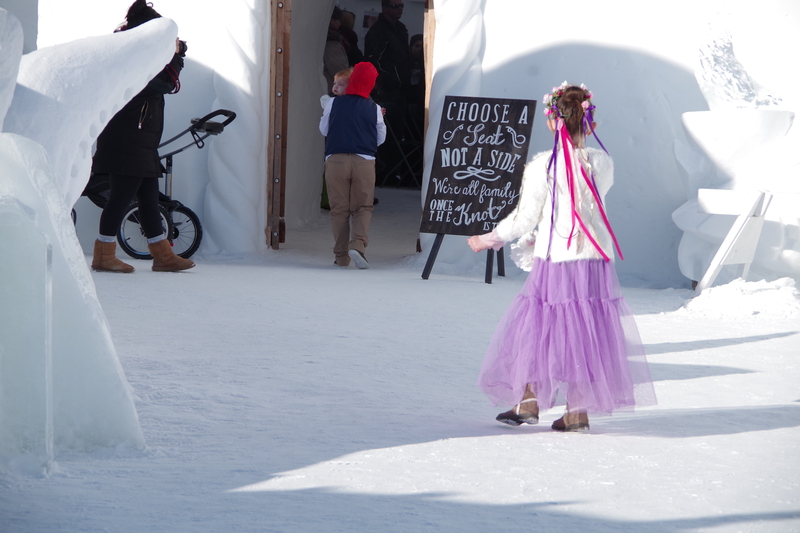 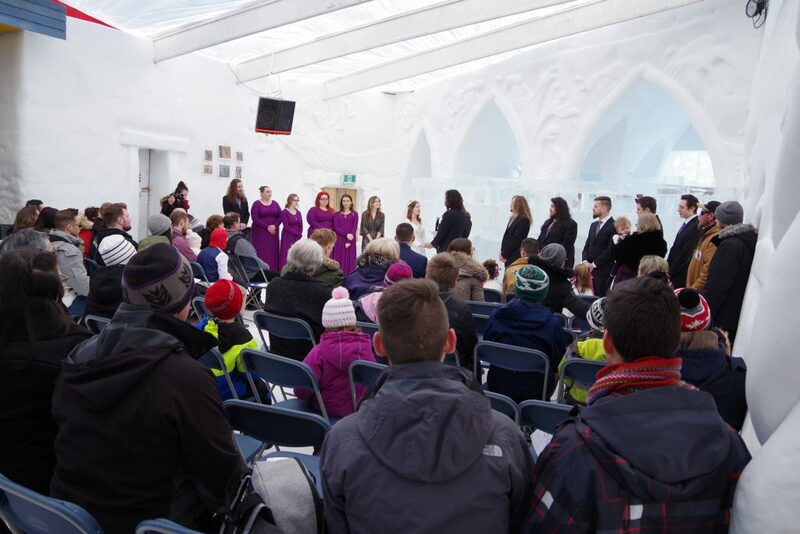 Before the Snowking’s Winter Festival shut down early due to a spring heat wave, one couple tied the knot in a very Yellowknife fashion at the snow castle. 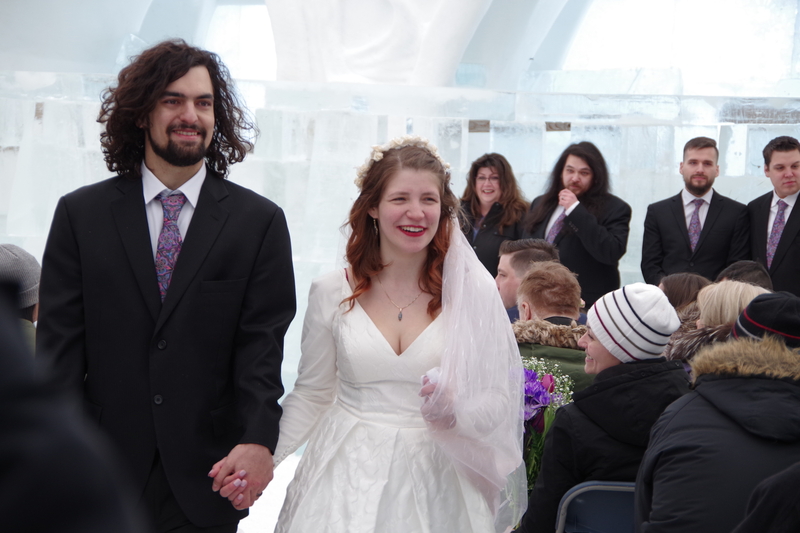 Kaitlyn White and Tyler Keyes walked down the aisle in the snow castle’s great hall, surrounded by family and friends, on a brilliantly sunny Saturday, March 16th. “In the end, I could’ve married him anywhere and I know it would have felt just as magical,” she says. 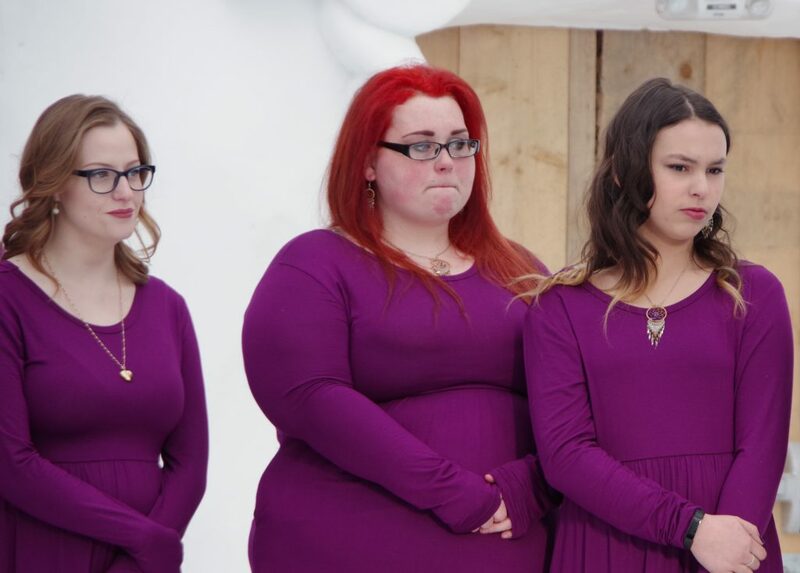 A few months later, the couple found out they were expecting a child due to arrive in the world April 1st, 2018. 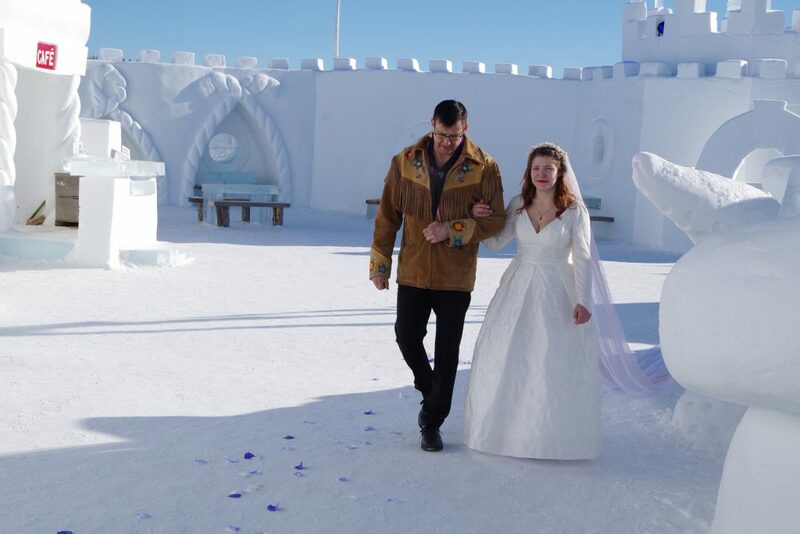 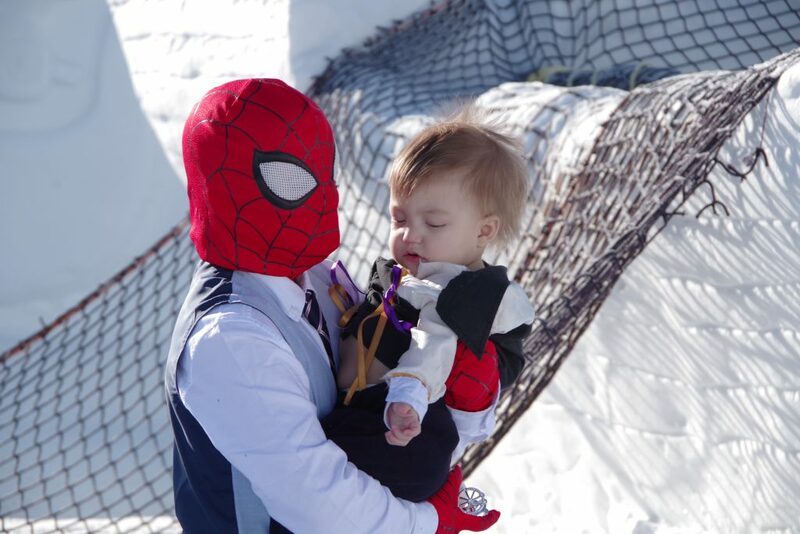 They decided to delay the wedding to spend time becoming parents, but the idea to wed in the snow castle remained. 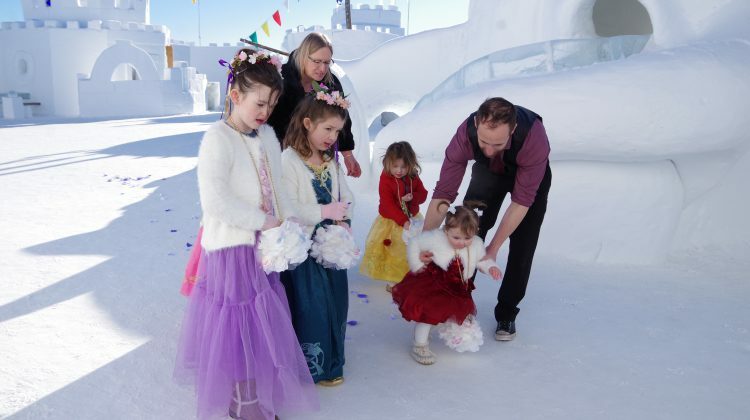 Hailing from different parts of Canada – White from Edson, Alberta and Keyes from Grates Cove, Newfoundland – the couple are longtime Yellowknifers with more than a few fond memories of the Snowking’s Winter Festival. 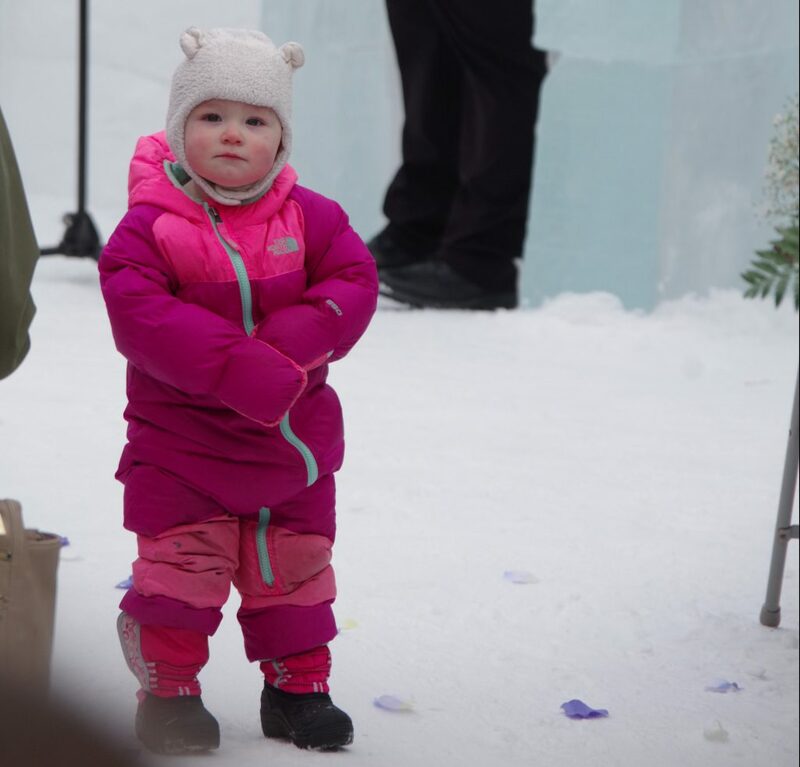 “Growing up I remember always looking forward to the giant slides,” White says, as well as her time volunteering and keeping people warm at the hot chocolate booth. 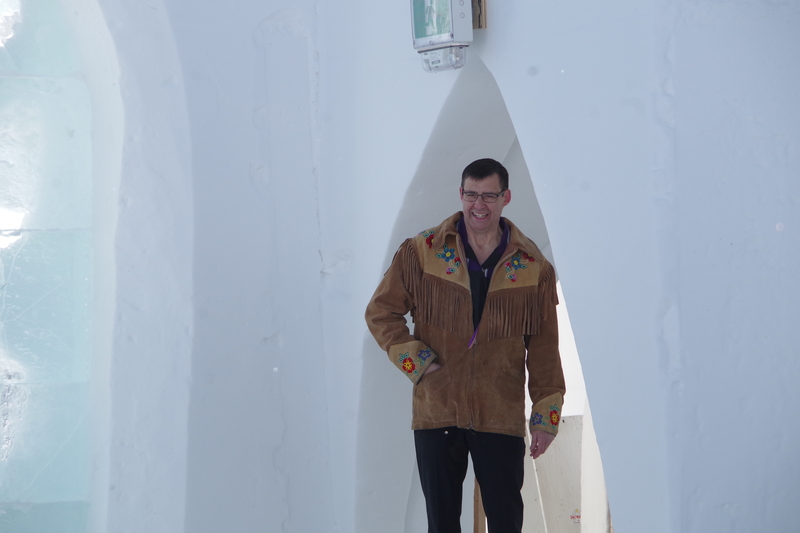 Keyes has played the stage at the snow castle, along with Warm the Rocks, NWT Pride and other Yellowknife venues with his band SorryIWasShitFaced.